I had a really clear day flying and took this picture of the City Long Beach. 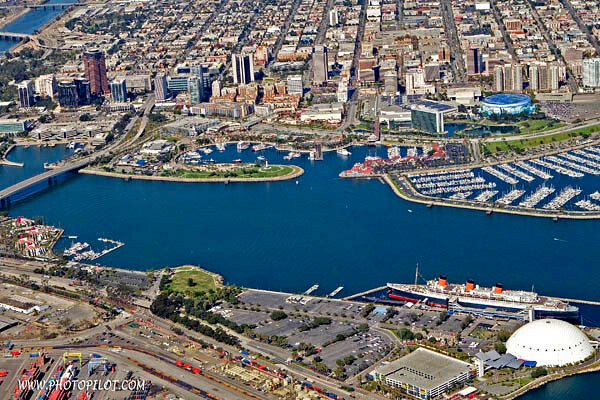 This city is located adjacent to the Long Beach Port and is surrounded by water. The downtown area, Convention Center, and Aquarium are by the marina, while The Queen Mary is in the foreground. The white dome is where the Spruce Goose was on display for many years and I have no idea what is inside it now.